It’s a Beautiful Day… Bike, Paddle Boat, Play, Walk in this GREAT Park! – Kosher. Family. Fun. Featured Hike: Get Outside and Enjoy the Season! It’s a Beautiful Day… Bike, Paddle Boat, Play, Walk in this GREAT Park! Too busy for for a full day trip, but too gorgeous out to let this day go by without some enjoyable outdoor time? Here’s a great park not too far away from Passaic/Clifton/West Orange with loads of options, and is a tried-and-true GreatFrumTrips.com gem! PLUS: A GREAT LIST OF PADDLE-BOATING PLACES ALL AROUND NJ Below! Where is this great place? Not far at all! Distance from Passaic/Clifton: Approx 20-25 Min. CALL or check websites before going for opening hours and rates! With its beautiful scenery, lush landscaping and tranquil lake, Verona Park is one of my favorite New Jersey spots to spend outdoor time (and take pictures). Check out the park from all angles from the paddle boats (2 or 4 seats) and row boats on the 13 acre lake at the center of the park. Boat rentals are available for a fee of $15 a half hour or $20 for an hour. The park also features walking paths, a children’s garden, tennis courts, a playground and boathouse with a snack bar. (973) 735-6228. I used to envy Bostonians who were able to ride awesome boats shaped like swans. Now swan boats have found their way to Northern New Jersey right by Turtle Back Zoo. The swan-shaped paddle boats are available for a half hour at the price of $14 for a 2 person boat or $18 for a 4 person swan, with discounts for Orange residents. After touring the banks of the Orange Reservoir, stop by the zoo or mini golf course for a full day of fun. (973) 735-6229. The swans have also hit the Jersey Shore. Wesley Lake not only offers swan paddle boats, but boats in the shapes of dragons, pelicans and flamingos. Boats can accommodate 2 adults and one child, or one adult with 2 children and cost $20 for a half hour. Other options are available for larger groups. The lake is conveniently located minutes from the beach and boardwalk area, so make a day of it. (732) 228-0466. Like Union County’s own version of Central Park (and designed by the same firm), Warinanco Park encompasses flower gardens, walking paths, a playground, spray ground, fields and a pond for paddling. Observe the park’s vibrant backdrop from the paddle boats, which cost $10 to rent for an hour. Warinanco offers fun activities year round, including summer movies and winter skating. (908) 527-4900. You’ll see a lot of green when you visit this Union County tree-lined oasis, which houses a pond for both fishing and boating. Take in the park’s views from the paddle boats, for a fee of $10 for an hour. Plan to spend some time at the park, which is also complete with a snack bar, shady playground, walking paths and a popular dog area. In the summer, Echo Lake hosts weekly free concerts. (908) 527-4900. There’s so much to do in this busy, well-maintained park, including a recently-renovated playground, flourishing gardens, fishing, a putting course, a dog area and paddle boating on Powder Mill Pond. Paddle boats are rented for $8 for a half hour, and for those with disabilities, hand operated pedals are an option. 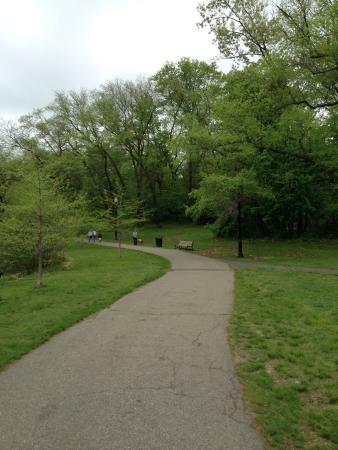 The almost-square mile park has so much to offer, so pack a picnic lunch and explore. (732) 873-8585. The scenic marina in this sprawling park features paddling, kayaking, row boating and fishing on Lake Mercer. Paddle and row boats rentals are $16 an hour, and two-person kayaks are available for $20 an hour. Discover the lake’s sites from the pontoon boat tour, which last 50 minutes for a fee of $8 for adults and $6 for seniors and children under 11. Surrounding the lake are tons of park activities, including walking trails, playgrounds, tennis courts, a snack bar and special events throughout the summer. (609) 448-4004. This expansive 1000+ acre park is home to Sunrise Lake, where you’ll find all kinds of water adventures. Visitors can swim, sail or play on a crazy inflatable obstacle course, known as a Wibit. Wibit explorers must be over age 7 and pass a swimming test. Paddle boats can be enjoyed by all family members at the cost of $5 for a 2 person boat or $7 for a 4 person boat. See website for lake activity and beach access fees. In addition to water recreation, visit the park’s picnic areas, walking paths, a dog park, equestrian trails and the colorful Saturn Playground. (973) 267-4351.